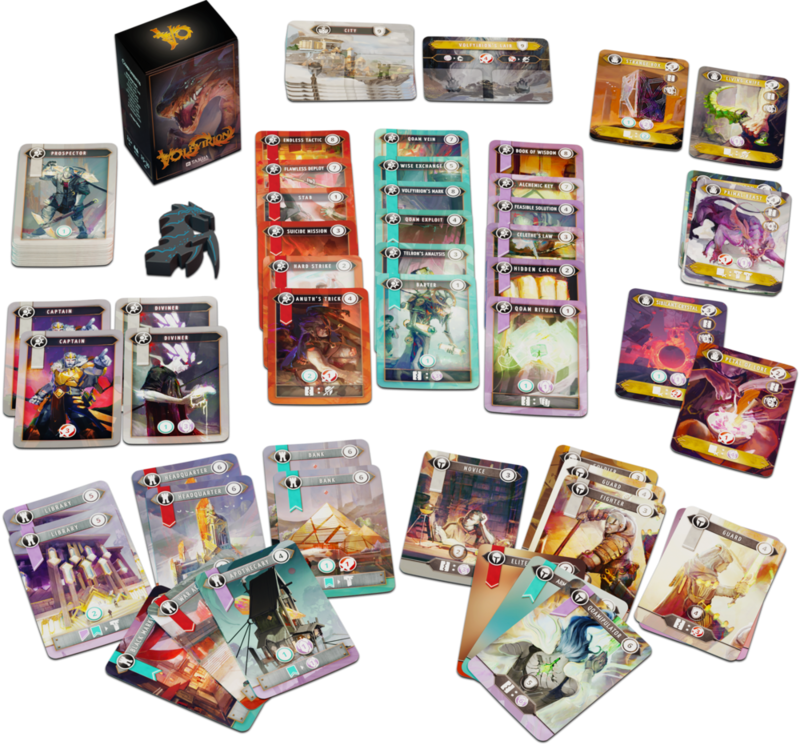 Volfyirion is a 1vs1 competitive card game that brings to the table once again the wondrous world of Mysthea. 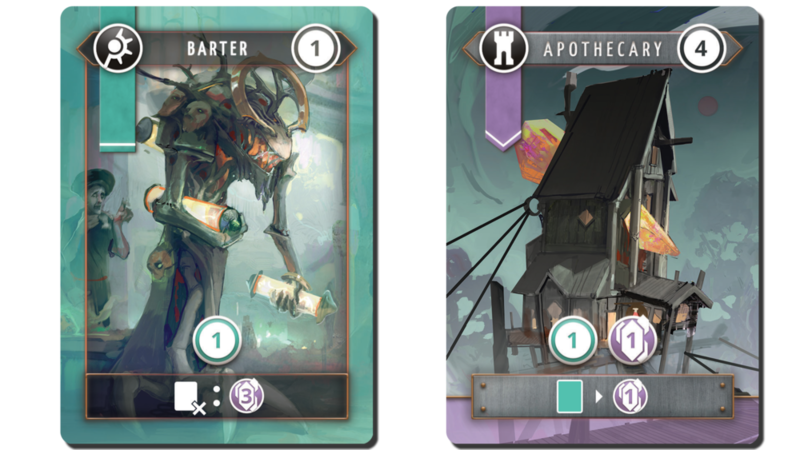 The core of the game relies on solid and time-tested deck building mechanics which are expanded by some elements derived from the events that set in motion the story of our first game in the franchise. Two players, each representing a House, clash to gain control over a dreadful creature that chose the region of Kyradar to be its new home: Volfyirion the dragon, whose power is great enough to wipe out entire cities. The goal of the game is to destroy the three enemy cities and claim domain on the area and on Volfyirion. Each card, when played, provides its owner different kinds of Points that can be each spent in multiple ways. Command Points, Battle Points, Knowledge Points are always useful even in small amounts, allowing the players to take lots of actions during their turn. No card you play is ever useless. Cards do also possess colors that, when matched together, can create powerful combos and trigger additional effects. Some cards can also be sacrificed to obtain an immediate advantage, critical when trying to strike the opponent’s defense. But if you do not like a card, we got you covered. 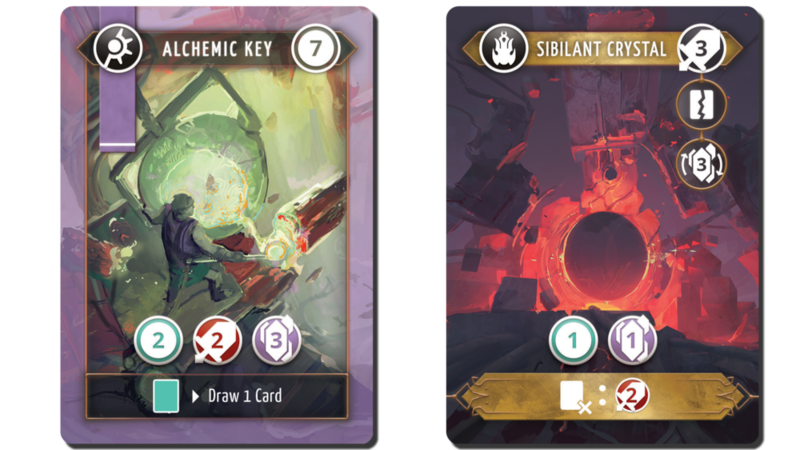 Many options to remove cards from your deck are available since the beginning of a game, allowing you to refine and polish your deck in order to create the strategy you are envisioning. Each option is a valid alternative, players have the freedom to choose many different paths and the way cards can interact to one another offers high replayability. Players’ starting hands are symmetrical and neutral to combos: it is up to the player to decide which cards to acquire in order to develop the best deck synergies and combos. 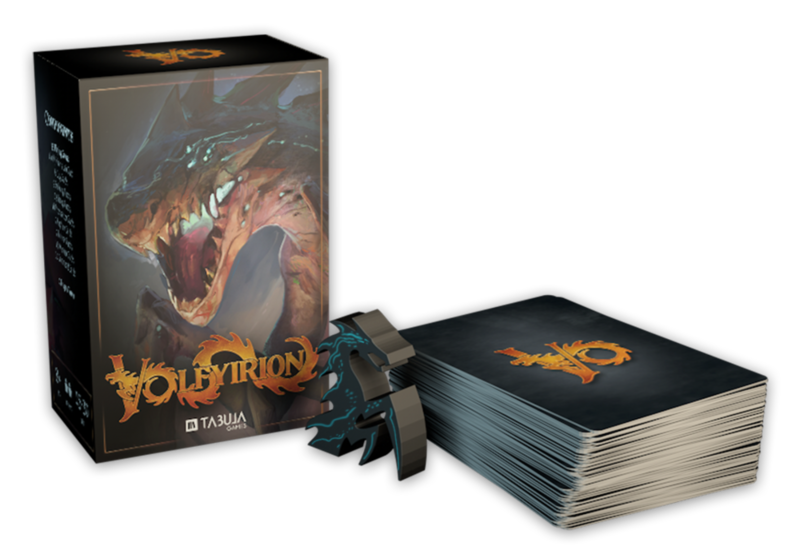 During Volfyirion’s Kickstarter campaign, several stretch goals were unlocked and some of them added new exciting mechanics to this card game. Solo Mode: the player will represent House Volarees and face the furious dragon Volfyirion alone. 4 Players Mode: two players will join forces against other two, trying to destroy the opponent cities. Beware of the fearsome dragon Volfyirion that can unleash it’s wrath at any moment. Co-op Mode: all players will join forces to defeat the powerful dragon Volfyirion and nobody is alone against the dreadful creature.